PERRY HOMES NEW CONSTRUCTION - Mahogany front door. Two-story entry and family room. Library with french doors. Formal dining room with ceramic tile floor. Abundant windows. Master suite with curved wall of windows in the bedroom and a garden tub, separate glass-enclosed shower, dual vanities and walk-in closet in the bath. Upstairs guest suite and game room. Extended covered backyard patio. Three-car garage. SchoolsClick map icons below to view information for schools near 15719 Rock Squirrel Dr Cypress, TX 77433. Home for sale at 15719 Rock Squirrel Dr Cypress, TX 77433. Description: The home at 15719 Rock Squirrel Dr Cypress, TX 77433 with the MLS Number 26355514 is currently listed at $424,900 and has been on the Cypress market for 70 days. 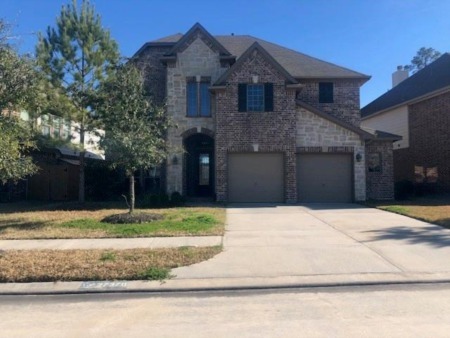 You are viewing the MLS property details of the home for sale at 15719 Rock Squirrel Dr Cypress, TX 77433, which is located in the Bridgeland subdivision, includes 4 bedrooms and 4 bathrooms, and has approximately 2997 sq.ft. of living area.